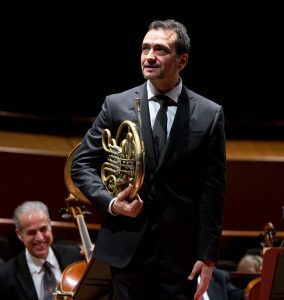 Founder of the Musicians For Human Rights and music director of the Human Rights Orchestra, Alessio Allegrini has performed as solo or principal horn with virtually all of the world’s leading conductors, including Claudio Abbado, Carlo Maria Giulini, Daniel Barenboim, Wolfgang Sawallisch, Lorin Maazel, Myung-Whun Chung, Mariss Jansons, Jeffrey Tate, Valery Gergiev, Simon Rattle, Antonio Pappano, Riccardo Muti. Winner of prizes in both the Prague Spring International Competition and the Munich International Competition, he held the first chair in the Orchestra of La Scala for eight years, and subsequently served as guest principal horn of the Berlin Philharmonic for a year. 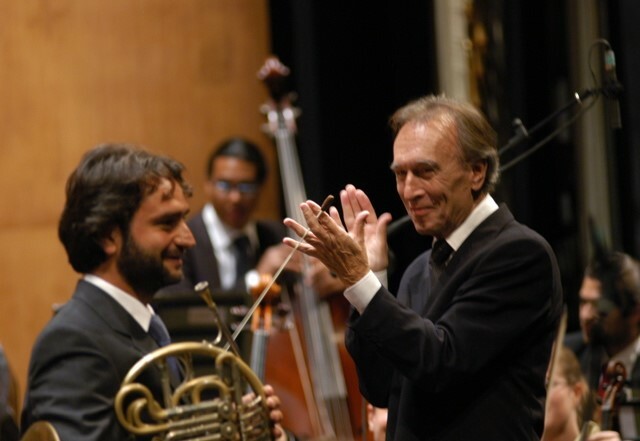 For many years he was also principal horn of the Orchestra Mozart under Claudio Abbado, which culminated in the live recording of the complete Mozart’s Horn concertos, Sinfonia Concertante, and Bach’s second Brandenburg concerto for Deutsche Grammophon. As a soloist, he premiered Carter’s Horn Concerto in Europe and performed Britten Concerto with Ian Bostridge at the Orchestra of the Academy of Santa Cecilia. Other concerto engagements include Orchestra da Camera di Mantova, Philhamonie Baden-Baden, Orchestra Teatro Petruzzelli Bari, Hamburger Symphoniker, La Scala Theater Orchestra, Filarmonica Teatro La Fenice, Orchestra of Teatro Lirico in Cagliari, etc. He made his debut as a conductor at the Teatro Lirico in Cagliari with a symphonic concert with Wagner and Brahms compositions, which was highly acclaimed. Last season he played and conducted the Orchestra Filarmonica Marchigiana and I Solisti Aquilani. In the season 2018, he will appear as a conductor with the Hamburger Symphoniker to replace Maestro Jeffrey Tate (Elger, Haydn and Beethoven), and will play and lead the Lausanne Chamber Orchestra (Haydn and Beethoven) and Tokyo City Philharmonic (All Mozart Concertos). As a soloist, he performs with the Hiroshima Symphony and Nagoya Philharmonic. 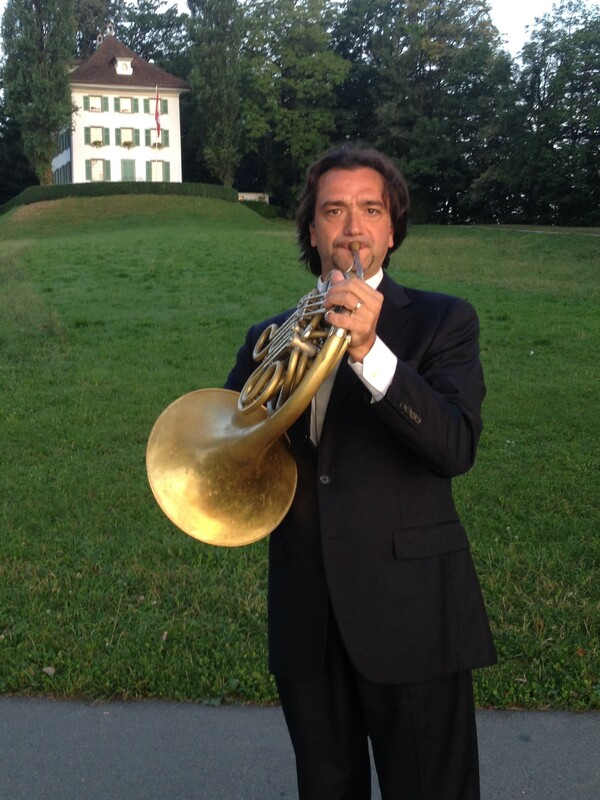 Since 2004, Mr. Allegrini has been the solo principal horn of the Orchestra of the Academy of Santa Cecilia in Rome. He also is the solo first horn of the Lucerne Festival Orchestra.